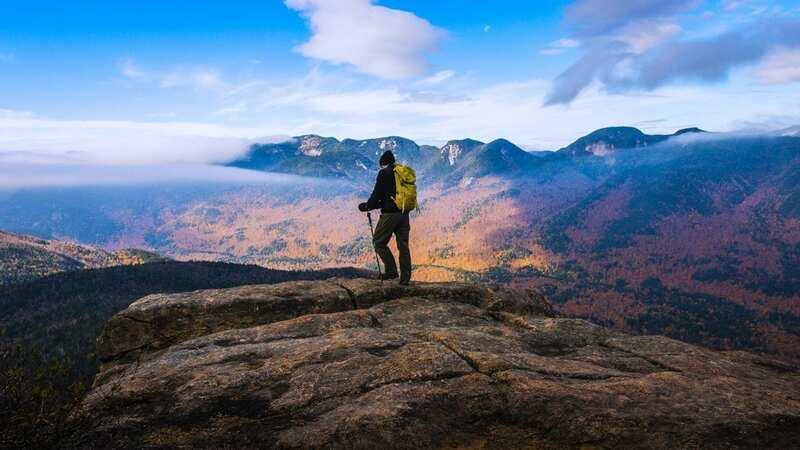 The 46ers feature film captures the imagination and inspiration of those who make scaling the 46 Adirondack Mountain High Peaks in northern New York State a life-changing experience. The 46ers screening will take place January 26th beginning with an opening reception at 6pm in the WSKG Studios. This event is sold out. The 46ers airs on WSKG-TV January 29, 2018 at 9pm or watch it anytime online through your Apple TV or Roku, tablet, or smartphone through the PBS app. Details here. The film provides an introduction to the men and women of the Adirondack 46ers Club, a group that supports the hiking of the high peaks in summer and winter from places such as Mount Marcy, the place from which Director Blake Cortright drew inspiration for the film. As spectacular as the vistas are as seen atop 19 of the High Peaks including Cascasde and Porter, so are the moving stories of individuals who set out to move through the mountains at paces that range from intense to gentle. The result: memories and stories that last a lifetime, including those of Pete Fish, who hiked Marcy, the highest peak in New York, more than 700 times and Ron Konowitz, the first to ski all 46 High Peaks. Follow the stories of ordinary men and women who have done the extraordinary. What draws these people? It is not all beautiful views and comfortable conditions, because climbing these mountains is tough. The journey can be treacherous, even life threatening; yet these individuals persevere.